Florida’s fast-growing Celebration Church is utilising Jands’ flagship Vista L5 console to control state of the art lighting and video productions during worship services for its 12,000-strong congregation. 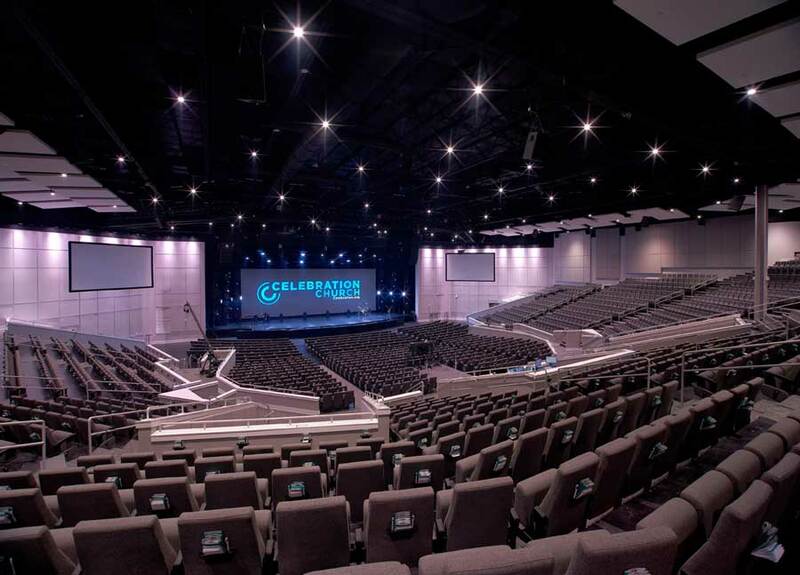 The services held at the Jacksonville-based Church’s newly constructed worship Arena are often broadcast internationally via web stream. They are renowned for being an energetic, immersive next generation praise and worship experience that infuses diverse genres and styles. 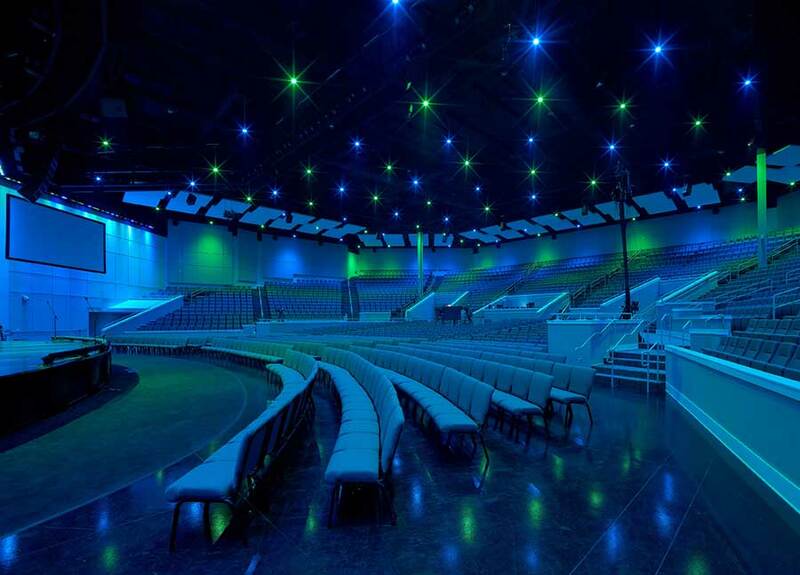 Celebration Church’s Lead Lighting Designer and AVL Technician, Trey Smith, specified the Jands Vista L5. Trey and his team are currently using more than 30 universes for the entire building. In addition to the L5, the Church uses 2x Jands Vista M1s in the Kids’ Ministry rooms, 1x Jands Vista S1 at its nearby Orange Park Campus, 1x Jands Vista I3 for tracking backup in the Main Arena, 2x M1s at the Midtown Location, and 2x M1s at its nearby St. Johns Campus. 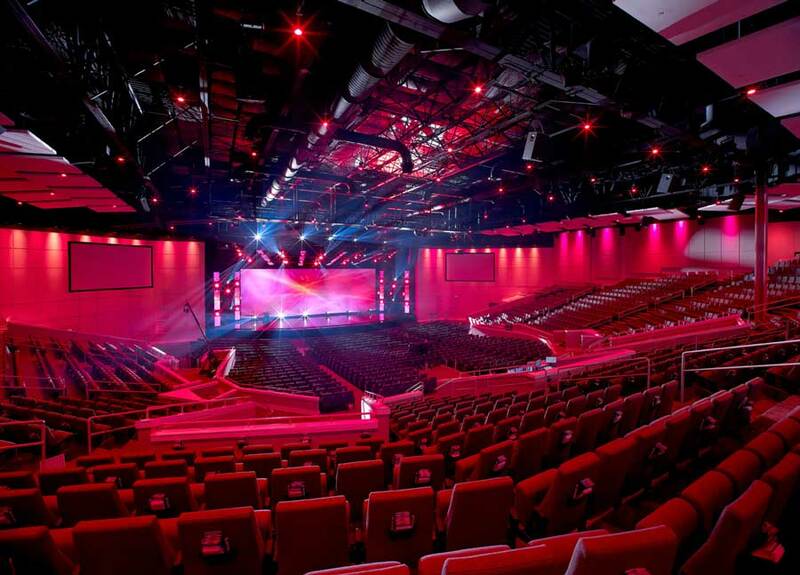 In the Main Arena, the L5 is used to trigger media content as well as lighting, which is designed in-house and loaded onto a Coolux Pandora’s Box media server. The Vista range is also compatible with other media server solutions. The L5 comes with the world-renowned Vista v2 software, a program that has been embraced by its growing number of users for being innovative, intuitive, powerful and easy to use, all at once. The Church’s show planning is very precise. Songs are often planned a month in advance, with lighting and media programming happening weeks before the service. Featuring a massive 21-inch High-Definition TFT screen, the L5 offers a lot of space to add and re-arrange windows, making data easy to view and respond to. The Jands Vista was supplied to the Celebration Church by design firm WAVE, which was contracted to design, supervise and install the new lighting and sound system. To arrange a Jands Vista demo or discuss your requirements contact your nearest distributor. Or for more information and a list of international Vista users, visit jands.com/vista/users.